This mesh router discount comes with free 2-day shipping for Prime members, but the deal ends tonight. Today only, you can order the TP-Link Deco M9 Plus for just $99.99 from Amazon. This is a significant drop from its usual $149.99 (a full 33% off), considering it just debuted last year. The device comes in stock on February 26th, so it should be delivered by February 28th with Prime's free two-day shipping. Amazon members can also save an extra 15% if they use an Amazon Prime card to purchase the router. 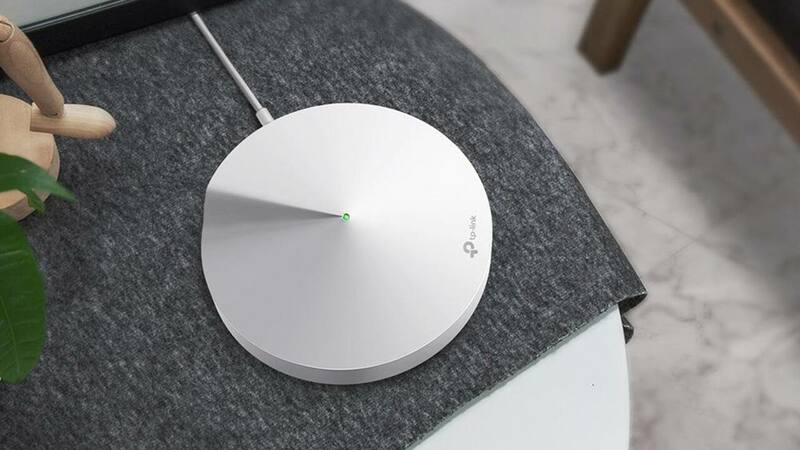 Basically, this mesh router allows WiFi connectivity in and around your home up to an impressive 4,500 sq. ft. It also ensures that you enjoy high speeds across multiple devices, without any dead zones in your coverage area. So, no more losing internet when you go from your kitchen to the garage. It's definitely a step up from what the cable company gives you. While it operates on a mesh network, this single unit is still plenty powerful. It just allows you the option to add more routers if you need to cover a larger area. Plus, this deal comes with free Amazon tech support available over the phone to help walk you through the set-up and provide troubleshooting for 60 days. To access this option, just go to Your Orders and click Get Product Support. Like Cinderella's pumpkin carriage, this deal is done at midnight tonight, so take advantage of the offer while it lasts. And make sure to set a Deal Alert for info on future mesh router sales and discounts. Thanks to Blue_00 for sharing the original deal post! Any product or service prices/offers that appear in this article are accurate at the time of publishing and are subject to change without notice. Please verify the actual selling price and offer details on the merchant’s site before making a purchase. Quan Tsang is a creative writer, serial entrepreneur and motorcycle enthusiast based in Southern California who aims to conquer the world one smile at a time. He has a propensity of taking in stray cats and experimenting with culinary creations. Those two things are separate and have no relation to each other. Quan is not a monster — he just loves cats and food. With his lovely wife, Zina, Quan has two sons by the names of Quantas and Quanelius.